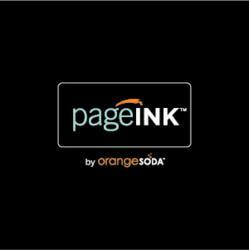 Today OrangeSoda, Inc. announced the release of a new Facebook Page creation tool: PageInk, which runs for $ 49.99 a month. PageInk enables small to medium-sized business owners to enhance their Facebook presence with eye-catching designs for pages in the form of promotions, coupons, contests, polls, and more. With the help of PageInk, businesses can gain new customers, encourage return business, build their brand, and get people talking about their business. If you dont have a stellar Facebook Page you dont have any business advertising on Facebook, said Todd Crofts, VP of Product and Marketing for OrangeSoda. Weve found that Facebook ads pointing to Facebook Pages can perform four times better than ads pointing to regular websites. PageInk closes an advertising gap for business owners. Hand in hand with PageInk, OrangeSoda also offers setup packages to help businesses get their Facebook presence started on the right foot. A lot of our clients are a bit overwhelmed by the logistics of Facebook. Theyre not sure where to start, or they just dont have the time to give their Facebook the attention it needs, said Jake Berry, PageInk Product Manager. Many of our clients will take advantage of our setup packages, so they dont have to mess with the design if they dont want to. OrangeSoda offers a couple different setup packages, depending on a businesss level of need. For a one-time setup fee of $ 299, OrangeSoda offers Social Setup Basic. This setup package includes the creation of a Facebook cover photo, a page app thumbnail photo, one page app, and a Twitter icon and theme, all using proven templates that utilize the businesss brand colors. For businesses with a little more social marketing budget, OrangeSoda offers Social Setup Pro for a one-time setup fee of $ 699. This completely customized package includes two Facebook cover photos, two app thumbnail photos, two page app designs, and a Twitter theme, icon, and custom background. For Social Setup Pro, OrangeSoda will even throw in the design source files upon the businesss request. 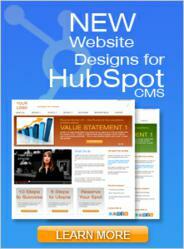 PageInk works well by itself or combined with other online marketing efforts, said Crofts. Social media is just one important piece of online marketing. When combined with other online marketing efforts, such as SEO or PPC, businesses are in the best position to get better visibility, more customers, and improved credibility. This entry was posted in Which Open Source Blog and tagged Businesses, Facebook, Help, Launches, More, OrangeSoda, PageInk on February 22, 2013 by Administrator. According to NBC News, US Airways launched a “broad-based hike of $ 10 each way” for airfare, amounting to a $ 20 increase for round-trip fares. While most other major airlines have yet to follow suit, Southwest airlines have already adopted mini-hikes around Florida. To alleviate some of this stress on travelers, small businesses can opt to be more festive to bring in some holiday cheer. In the recent blog post, “Ways to Deck Your Small Business Out for the Holiday Season,” The Business Finance Store discusses how small businesses can decorate their establishments to bring in the holiday cheer. As shoppers feel more obliged to spend money when they’re happy, a fully-decked Christmas theme would be perfect for this time of year. To learn more, visit The Business Finance Store Blog. For 10 years The Business Finance Store has been helping startups and other small businesses legally structure their companies, find the right franchises, get the funding they need, and achieve the American Dream of owning their own successful business. Since expanding nationwide in 2007, they have helped thousands of companies and have funded over $ 60 Million in business credit lines, not including SBA loans. The Business Finance Store sees limitless potential in the current climate, and looks forward to many strong years of growth to come. Take some time to review their services, and give them a call. For more information, or a free, no-obligation analysis of your business needs, visit The Business Finance Store website: http://www.businessfinancestore.com. A member of their professional staff will contact you to discuss your business’ short and long-term goals. Whatever you need, The Business Finance Store is there. This entry was posted in Which Open Source Blog and tagged Airfare, Business, Businesses, Discusses, Festive, Finance, Holiday, Increases, More, season, Store, this on February 14, 2013 by Administrator. StreamSend, a leading email marketing service provider and creator of the social marketing tool suite StreamSend Share, outlines the four steps businesses can take to create an automated email campaign that is both easy and effective. Faced with so many different choices among email solutions, particularly now that email and social have joined forces, many businesses want to know how tough it is to create email campaigns, said Dan Forootan, president of StreamSend Email Marketing. The answer is that it can be easy, if they keep it simple and follow some key steps that let them take advantage of existing technology and solutions. Here are four core steps we use to help guide these businesses into what can be the most cost-effective, relationship-building — and automatic — part of their marketing. This entry was posted in Which Open Source Blog and tagged Automation, Businesses, Easy, Email, Marketing, StreamSend, Success on February 11, 2013 by Administrator. DemandPrints.com, a Wilmington, DE-based print advertising and direct marketing company, has just launched a unique marketing portal for small-and-medium businesses. DemandPrints brings a new twist to a traditional marketing technique. The company is addressing the never-ending struggle of Small-and-Medium Businesses that are challenged with promoting their business without having a large marketing budget. As the economy is starting to pick up, the winners are companies that succeed to driving awareness and market share for their products and services. However, there is no easy way and there is for sure no single marketing method to reach all targeted prospects without a very large budget. As a small business it is all about making every dollar count you spend in advertising. So how can DemandPrints help small businesses to achieve higher returns on their marketing spend? One of the most effective marketing strategies is to use multiple channels of advertising to maximize your reach and exposure. How do you do this if you are a small business with a tight budget? DemandPrints is attacking this challenge and has delivered a multi-channel marketing and advertising solution. Their solution provides a packaged a combination of direct mail marketing, online search marketing, email marketing, and social media marketing. It gets better, the entire advertising package is arranged in phases to attack the target audience via multiple channels with the same message. The fact that we are providing everything in a combined solution not only increasing their return on investment but also saves them many headaches, stated Angie Bowers, VP of Marketing. For most small businesses it is all local advertising by reaching local customers and increasing repeat sales. Brand recognition and customer loyalty is no longer a play for large corporations. Every business, small or large, needs to invest in brand recognition and customer satisfaction. Only happy customers are repeat customers, comments Bowers. What makes DemandPrints different from the competition and niche-advertising players is the fact that they offer most types of marketing solutions that small and medium business would traditionally contract individually. Most of the times they are limited to go with one marketing vehicle and tie up all their available funding on that strategy, often with very little return. DemandPrints provides a diversified marketing strategy by investing the customers available marketing dollars into multiple advertising channels. Our customers have to no longer deal with multiple competing marketing companies with different objectives, states Bowers. This approach reduces risk and improves awareness, while maximizing revenues. During the initial engagement phase, DemandPrints will sit down with a client to shape the ideal customer profile and identify the target market. Depending on the geographic and demographic criteria, a comprehensive marketing plan is developed, which can include Direct Mail Marketing, Online Marketing and Social Media Marketing. 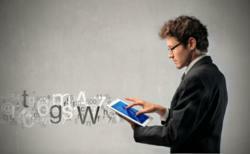 Each one is set to augment each other with the aim to drive brand awareness to the selected target prospect group. DemandPrints has developed an automated platform to deliver this kind of marketing approach in a very cost effective manner. The company provides everything from professionally designed industry specific print-advertising templates, to targeted direct mail lists, and packaged local advertising and search marketing solutions. Instant access to the tools needed to create a campaign within minutes from start to finish is not available from any other online source. Customers have many tools at their disposal when they sit down with DemandPrints to plan a local advertising campaign. DemandPrints.com is a leading OnDemand marketing, design, print, copy, and direct mail advertising company with services tailored for small and medium businesses. DemandPrints.com provides affordably priced and professionally designed printing and direct mail marketing materials, including brochures, newsletters, postcards, stationery, menus and ads. Customers are able to produce their marketing materials and entire direct marketing campaign for a fraction of the cost and time previously required. For more information on DemandPrints.com products and services, please visit http://www.DemandPrints.com, call (888) 566-1350, or email Info (at) DemandPrints (dot) com. This entry was posted in Which Open Source Blog and tagged Businesses, Delivers, DemandPrints, Direct, Diversified, Marketing, Medium, OnDemand, Small, Solution on February 8, 2013 by Administrator. In addition to PhotoBizs web solutions being utilized by photographers and creative professionals, a variety of business and organizations are taking advantage of its tools. And today, PhotoBiz is happy to announce a new product for businesses of all sizes to enjoy BizSites a user-friendly content rich website tool to distinguish your web presence. 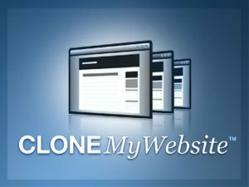 First and foremost with the new BizSites customers will have unlimited content pages. Just imagine the possibilities to make market driven landing pages, to design pages for product display, or to craft unlimited forms with custom fields, just to name a few. This entry was posted in Which Open Source Blog and tagged Businesses, Help, PhotoBiz, Provides, Solutions, Thrive on January 28, 2013 by Administrator.